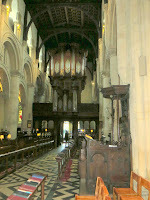 The organ played poorly is of no value to worship. I'm in agreement with that assessment, and I've been privy to some bad organ playing over the years. But, I've also been blessed with very good organists. My current organist being among the best around. I appreciate that he doesn't drag the hymns, but knows how to lead the congregation in good singing from the organ (and we have a very good organ as well). During my sojourn in England, I was treated to some very fine organ work. 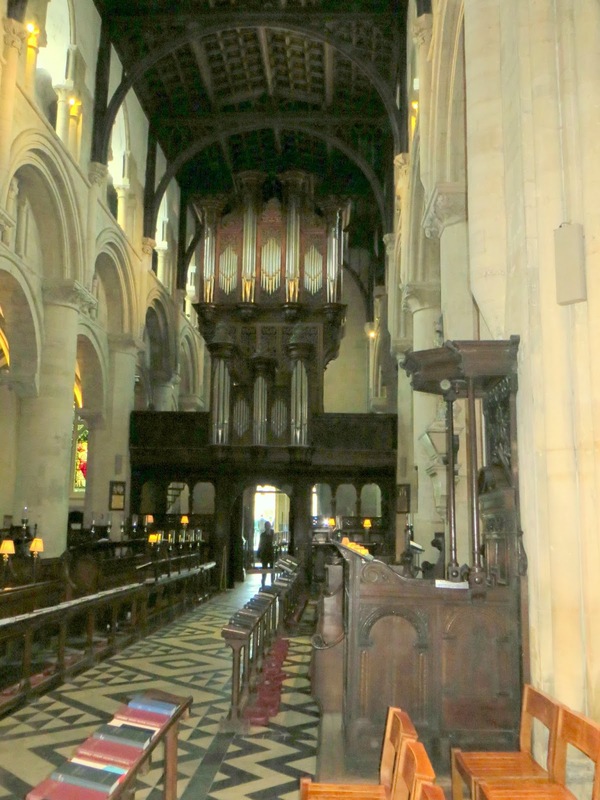 You will find pipe organs in churches of all sizes, along with the chapels of most of the Oxford Colleges. 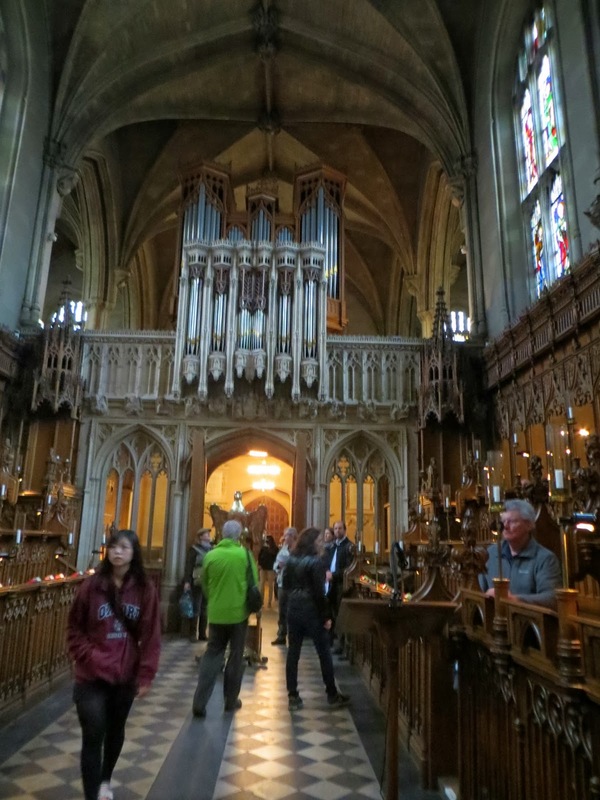 The music at Christ Church Cathedral (Oxford) and St. Paul's Cathedral (London) was led from the organ (along with men and boys choirs). 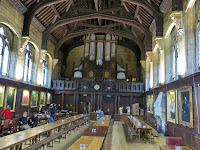 I was treated to recitals at Magdelen (pronounced Mawd-lin) College (Oxford) and Westminster Abbey (my only opportunity for entrance to the Abbey since I worshiped in the morning at St. Paul's). I realize that not everyone likes the organ. For some it is an anachronism, a left over from a bygone age that needs replacing with guitar and drums. Now, I like guitar and drums, so don't get me wrong. I'm not a traditionalist for tradition's sake. 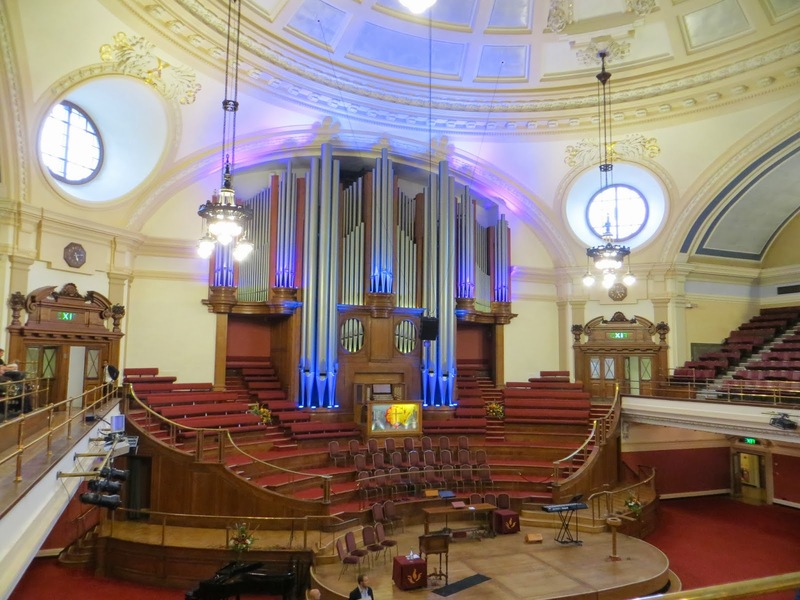 But is the organ out of date? Indeed, is the hymn out of date, needing to be replaced by praise songs? (Again, don't get me wrong, I enjoy singing praise songs). So, why the organ? Well, some hymns just do better with the organ (and some do better with piano or even guitar). 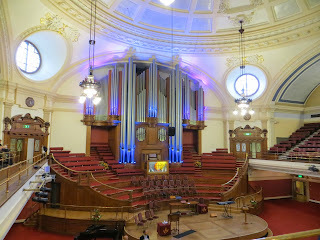 The organ offers a sense of grandeur, of transcendence, that I think we need at times. It is, you might even say, a counter-cultural instrument in our day. Indeed, it maybe that more traditional hymns are counter-cultural. And, in an age of cultural conformity, isn't it worth rethinking what is counter-cultural?! Oh, and as for organ pictures -- I have a lot more! And, while I didn't get to hear all of them, and couldn't get pictures of the ones at St. Paul's and Westminster Abbey, I think you get the idea!